EA has a large booth here at the E3 expo. Tucked in with the mobile games were a couple of iPhone titles that we hadn’t heard much of yet. 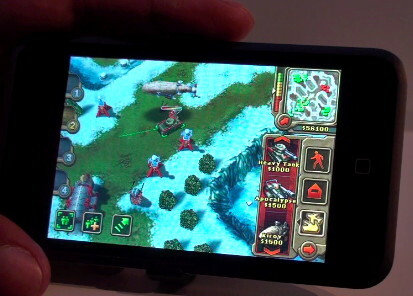 EA had an early build of their real-time strategy game Command & Conquer for the iPhone. The game is expected by the end of the year and has been adapted to the iPhone’s full touch screen. The demo unit they had only had a single large “sandbox" mode for show purposes but the full version will have full campaign mode. Our video walks through some of the controls and gameplay of the release.